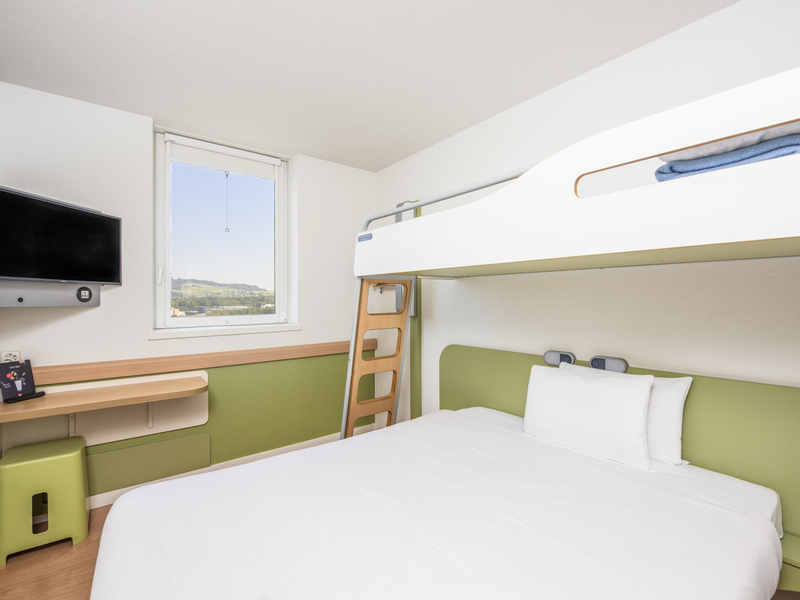 The ibis budget Bern Expo is an economy hotel located opposite the BERNEXPO and is a short distance from the new Stade de Suisse football stadium and the National Equestrian Centre. The centre of the city is just 1.7 km from the hotel and the Bern-Belp International Airport is only 10 km away. The hotel has 102 comfortable rooms with air-cooling system, free Wi-Fi, pay parking and a restaurant nearby. Enjoy an economical stay on a weekend or during the week in Bern for two, with the family or in a group.